This evening College Park Mayor Andrew Fellows and members of the City Council congratulated the winners of the “If I Were Mayor, I Would…” student essay contest. 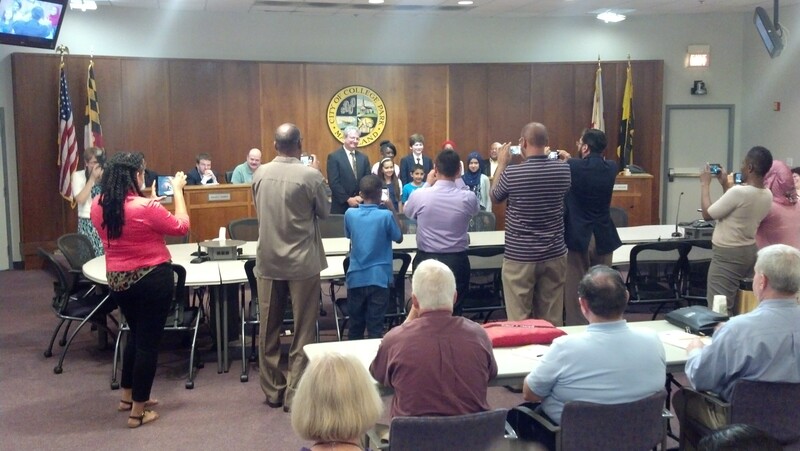 The Maryland Municipal League also named 11 fourth grade winners statewide for 2013 who were honored by Lt. Governor Brown at the State House on May 14th. This entry was posted in Other community events by richard. Bookmark the permalink.